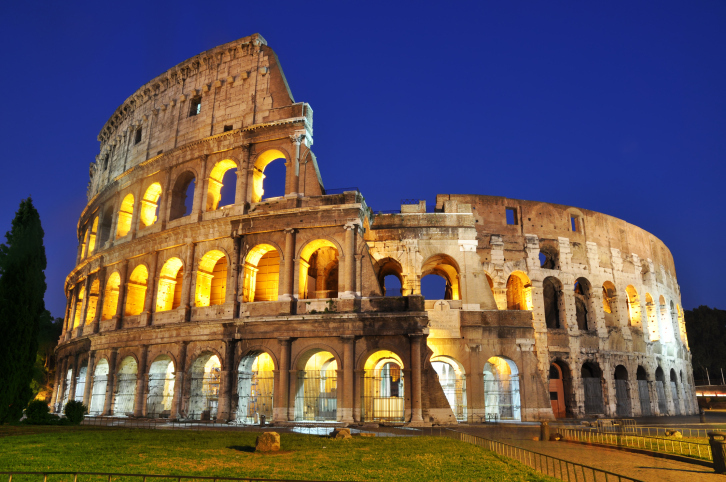 In the center of Rome, Italy there lies a huge amphitheater called the Colosseum. It is one of the most impressive ancient structures in the world. It has been around since the year 80 C.E. making the structure 1933 years old. When the Colosseum was still in use, gladiators fought their matches. While you can’t get the actual experience or atmosphere of the battles that went on at the Colosseum, you can explore the arena where they took place! It is one of the main stops for the millions of tourists that visit Rome every year. Even though it may be overrun with tourists from all over the world, it doesn’t stop that feeling of excitement from bubbling up from deep down inside the soul. That awe will not go away no matter how many of the entrances you walk through to get to the center of the stadium. Before the Colosseum became the tourist attraction it is today, it was a source of great entertainment for Romans. Most of the matches seen here were Gladiator vs. Gladiator or Gladiator vs. animal. Matches held at the Colosseum were much different from matches or sporting events we go to now. Romans were able to attend for free and stewards that would walk through the stadium gave them free food and wine! This sounds like the perfect way to spend an afternoon. So many interesting things happened in this amazing structure and not all of them had involved animals and Gladiators! Did you know that the Colosseum used to be flooded so that the Romans could watch mock naval battles? They would remove the flooring and flood the arena with 3-5 feet of water. 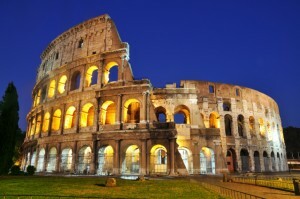 The Colosseum is truly a unique and historical structure that is worth exploring! AESU World Travel has been around since 1977 offering students and young professionals exciting travel opportunities. Traveling is a way to promote lifelong friendships and bond over all the experiences you will share. Call us at 1-800-638-7640 to ask about any of our trips. Our 2014 trip dates have been posted to our website with early bird discounts of up to $300 if you book and pay by September 15th. So, what are you waiting for? This entry was posted on Thursday, September 12th, 2013	at 1:18 pm	. You can follow any responses to this entry through the RSS 2.0	feed. Both comments and pings are currently closed.